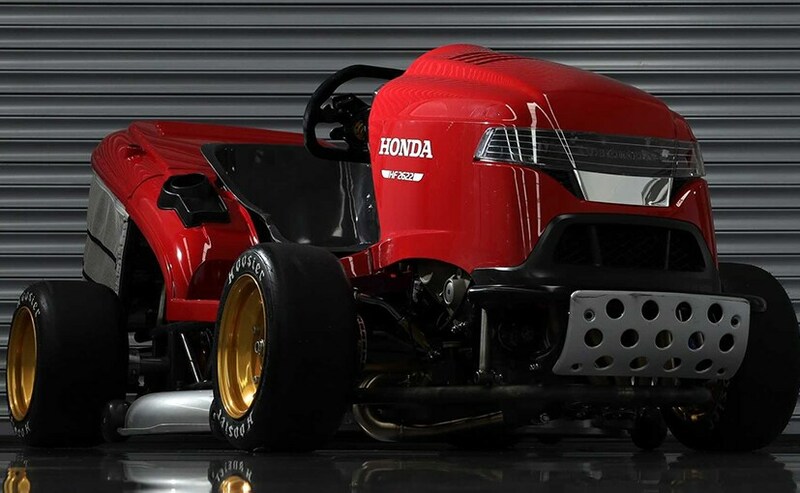 Honda is out to reclaim the crown for the world's fastest lawn mower with Mean Mower V2 and a target speed of 241 kmph in its sights. 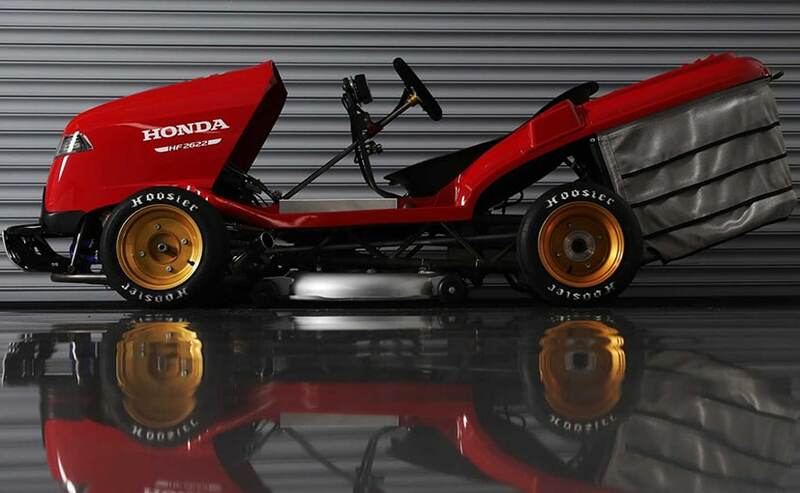 The lawn mower is built by Team Dynamics, Honda's British Touring Car Championship partner and the team behind the original Mean Mower that took the record for the world's fastest lawn mower in 2014. The team has now used CAD design, more bespoke parts, advanced materials, and 3D printing. It now packs almost double the power of the original, with the development team estimating it is capable of speeds in excess of 241 kmph. The engine is a new 999cc four-cylinder unit taken from Honda's CBR1000RR Fireblade SP motorcycle which produces more than 190 bhp at 13,000rpm. With a super-light frame and engine dry weight of just 69.1kg Team Dynamics engineers predict an eye-watering power to weight ratio of 1000bhp/tonne. The Fireblade DNA continues with the carry-over of several other parts including clutch, ECU, six-speed drive train and full colour LCD display. 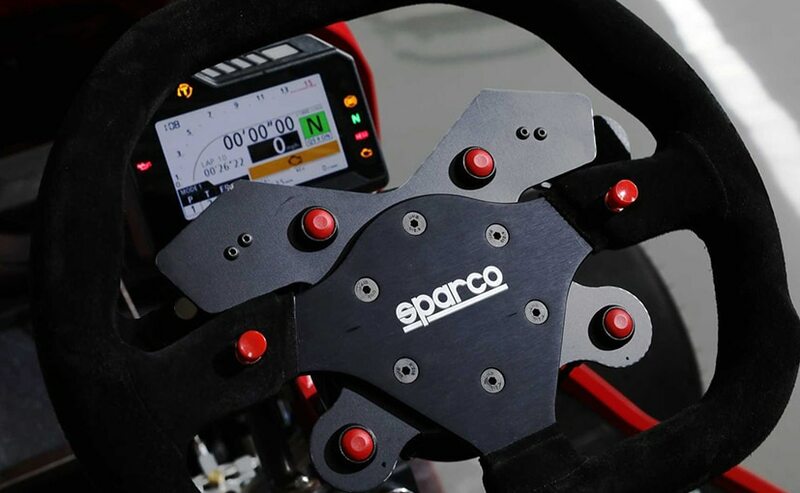 The programmable quick shift gear system promises precise and responsive shift through carbon paddles on the steering wheel - with the team estimating that this new machine could reach 145 kmph in first gear. The majority of Mean Mower V2 has been bespoke designed and manufactured, with the chassis made from T45 steel rather than chromoly for durability and flexibility - vital given that it has no suspension. The all-important matter of braking is covered off by Kelgate - four-piston callipers to the front and six to the rear - vented to increase airflow and reduce weight. Goldspeed ten-inch ATV wheels anodised in gold match that of the Fireblade , with special-order Hoosier racing tyres giving the grip. Dave Hodgetts, Managing Director, Honda (UK), said, "The original Mean Mower was a great challenge for us and the result was an amazing machine. This time we have moved the game on considerably to build an incredible piece of real engineering, using advanced design and production techniques and calling upon some very clever thinking to bring the performance and power but still retain the look of the production mower. We're in testing phase now and everything is looking good, with a top speed of more than 241 kmph very much in our sights."